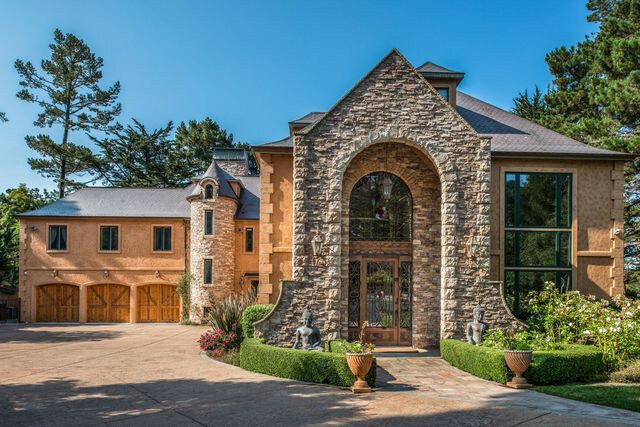 Deep in the Monterey Pines of Pebble Beach, CA, Beach Boys co-founder Mike Love built himself a stately dream home. And although Love and his family have been having fun, fun, fun in the 9,000-square-foot home since it was built in 2006, they’re thinking it would be nice to sell it for $6.45 million. The 77-year-old musician spends more time at his home in Lake Tahoe, NV. Which isn’t to say Love doesn’t love his home—but it is to say some aspects of the Pebble Beach place are like new, as it’s only been gently lived in. We walked through the place and discovered the Loves put serious thought into creating their own private paradise. 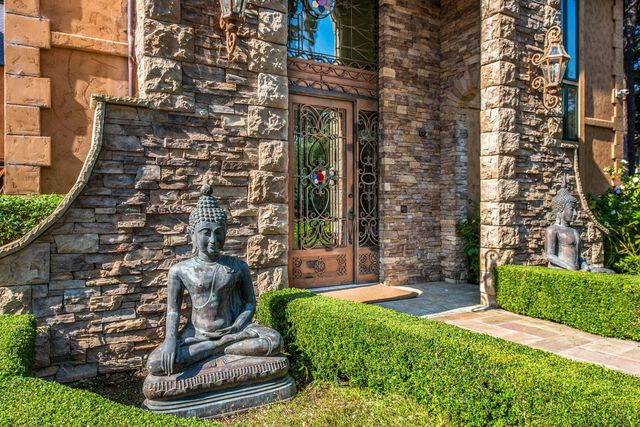 Beyond the automated gates, a pair of serene Buddhas statues greet you near the stone entryway. The statues are likely a nod to the years Love spent studying Transcendental Meditation under the famed Maharishi Mahesh Yogi. A yoga/meditation room in the fourth-floor master suite emanates those same Zen vibes. 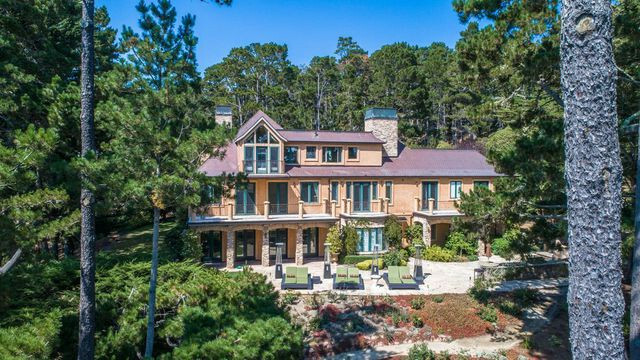 The four-story home is situated on a 1.06-acre lot with a striking view of Pebble Beach, home to distinctive trees, rocky outcroppings, beaches, and waves. 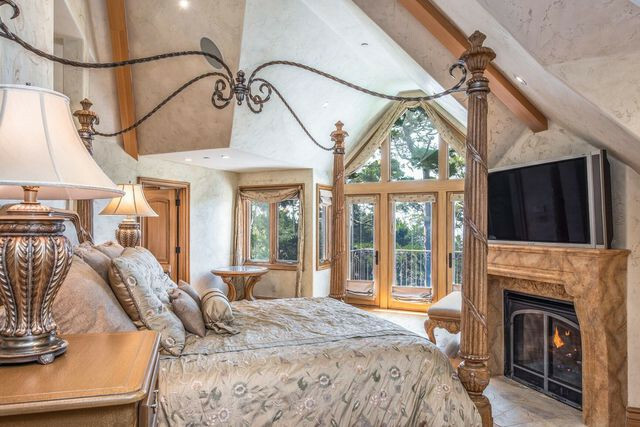 The rooms are all positioned to take maximum advantage of the gorgeous views. 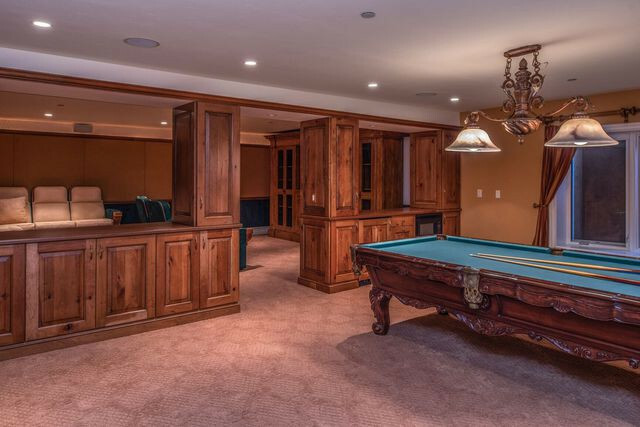 There are seven bedrooms, five baths, and two half-baths, ideal accommodations for a large family. Love has eight grown children, some with children of their own. One of the bedrooms is situated in an attached guest apartment, ideal for a caretaker or guest. 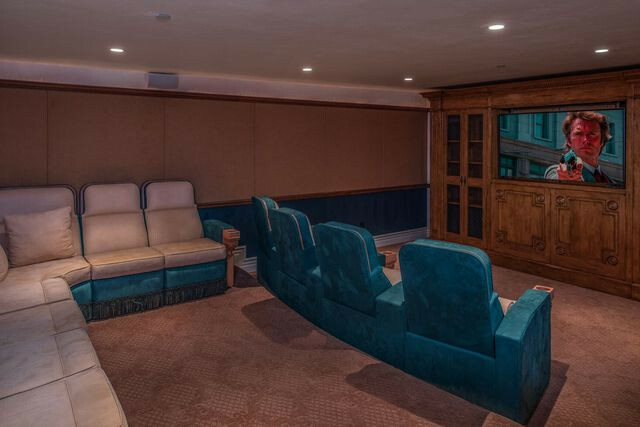 Entertainment options include a downstairs game room/pool room, an adjacent movie theater with plush seating, and a wine room with storage space. Outside, there’s mature foliage everywhere, ensuring privacy. 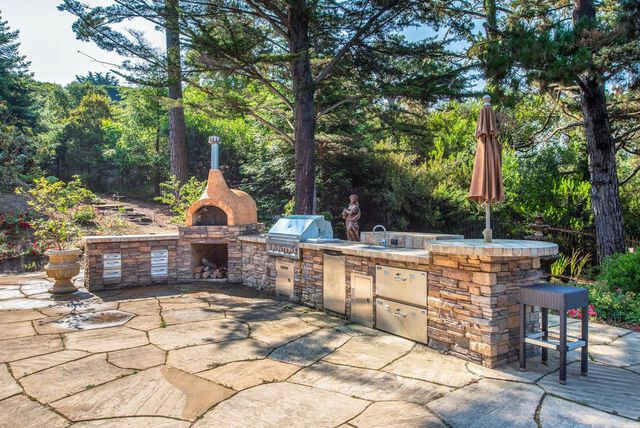 The terrace has a view of the ocean and an outdoor kitchen complete with a pizza oven. For further relaxation, there’s an in-ground spa with waterfall. There’s also a sizable patch of land just beyond the patio that would be ideal for an in-ground pool. 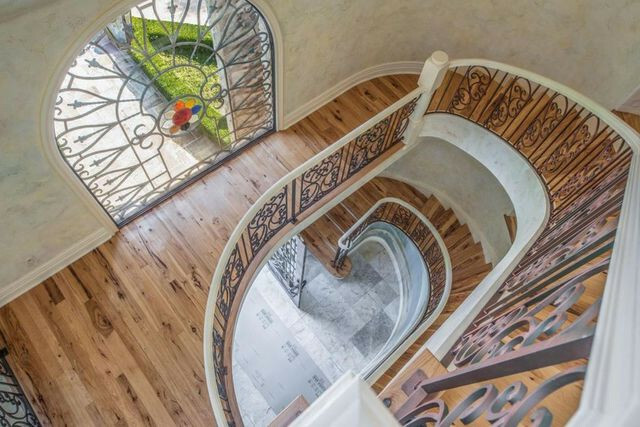 The home is full of special flourishes, including a spiral staircase with wrought-iron railings and a unique stained-glass window. Don’t feel like schlepping up and down the stairs? An elevator will help you out. There are hickory floors in many of the public areas, and plaster walls have been hand-painted with murals and designs. 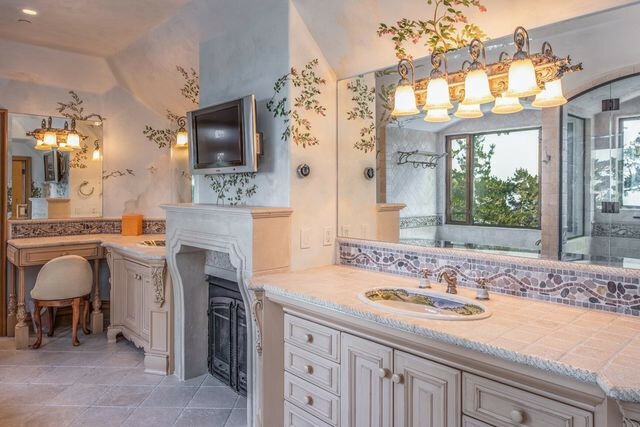 Most of the bathrooms have distinctive basins—some hand-painted with local scenes, others made of blown glass. A few bathroom backsplashes incorporate pebble mosaic motifs of the home’s natural surroundings. When the fog rolls in, it gets downright chilly along the coast. Radiant floor heating keeps the house toasty, and residents are never far from a cozy fireplace—there are five in all, including one in the master bathroom. Redesigns, improvements, and extended family stays are the reasons the home has bounced on and off the market since 2011. The sale price includes some of the furniture. It doesn’t include Love’s grand piano, which sits in a living room niche. There’s also an extensive sound system with speakers in almost every room. There’s plenty of space in the basement for a soundproof studio. Since then, Love has recorded several solo albums and Beach Boys collections, and toured under the Beach Boys name, including a 2012 reunion tour that included Jardine and Brian Wilson. 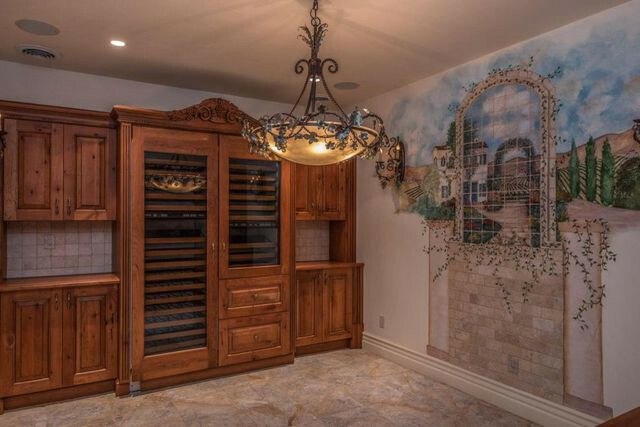 The post Inside Mike Love’s Pebble Beach House—Wouldn’t It Be Nice to Find a Buyer? appeared first on Real Estate News & Insights | realtor.com®.